Which Classic Financial Advice is Bad Financial Advice? Investing has changed , the work place has changed , family life has changed. One thing that hasn’t changed are financial rules of thumb. “Rules” applied 25 or even 10 years ago, may no longer be relevant. Yet, I hear personal finance experts giving the same boiler plate advice. Let’s look at what has changed recently that may affect your personal finances. 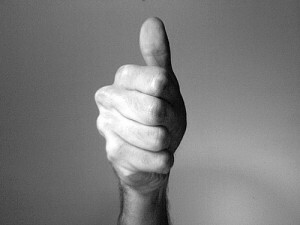 So how does this affect some classic financial advice, let’s look at four different classic rules of thumb. As in, your own ability to generate a positive return. YOU can start your own business for $1,000 and generate $10,000 in one year. That’s not 10% return, that’s a 1,000% return. Should a 28 year old successful entrepreneur invest the same as 28 year old teacher whose tenured in a district they plan to work in for the rest of their lives? In my opinion, no. For too long, career risk has been thrown aside when choosing investment risk. We’ve settled for rules of thumb that lump everyone who’s the same age together in one investment class. And there is. The problem is it’s not a simple math equation. A lot of thought and variables, mostly due to career stability, need to be accounted for. There is no rule of thumb. Even though the 36% rule of thumb was in many of my textbooks on financial planning, I still think the credit card, student loan, and mortgage companies all got together to make this up. My problem with the 36% rule is that the belief that 36% is good. 36% isn’t good. 0% is good. Here’s how a typical American sees this rule of thumb. They get out of college, hopefully with a job, and likely with some debt. Say their total student loan payments are 10% of their income. Knowing this, they buy a car and spread out the monthly payments not to exceed 26%. Therefore, not going over the 36% ratio of debt:income. Six years go by and the car is paid off. Around five years remain on the student loan. Now, they go buy another car (It’s nicer of course). Again, spreading out the payments so that their debt doesn’t exceed 36%. A few years go by and the student loans are paid off. Knowing this, they buy a house. Again, spreading out the payments to not exceed 36%. In a few years, once the car is paid off, they take out equity in their home to redo the kitchen. Of course, not exceeding 36%. This cycle of course continues. My feeling is that 36% is fine for a short amount of time. However, you can’t get ahead if a large percentage of your income is going towards interest payments your entire life. What’s wrong with this rule of thumb? This rule of thumb doesn’t account for property taxes, insurance, interest rates, desired lifestyle, career stability, potential family size, quality of schools, current state of housing market, cost or renting in your area, availability of homes, amount saved for a down payment, size of your emergency fund, credit score, future earning ability, handyman skills, cost of furniture and appliances, risk tolerance, or the status of your current debt. What I’m trying to say is it’s not as simple as a rule of thumb. A lot has changed but what hasn’t? What rules of thumb are useful today? Self insure what you’re able to, insure the rest. Save for retirement before education. Don’t invest in stocks, if you can’t afford to lose money. Most financial rules of thumb are worthless. Make personal finance personal. In the comments, let me know your thoughts. Has time really changed classic financial advice? “For Generation Y, the highest returning investment will always be themselves.” Great advice! Think outside the box. Plan on living in the same house for 5 years or more? Experience has told me jobs dry up, good jobs can be blown by poor managers, neighborhoods change, & personal tastes change. Home ownership can be nice, but one may wish to have the flexibility wand in their back pocket. Debt, try your best to stay away from it as it severely restricts many other choices in life. Career risk, see note above! Best investment, “yourself”. Consider a field of work of which you really have an interest in, think about domestic travel or international travel and live like a local for awhile. Education and fun can come in many forms. New ideas and goals will be created and stepping stones will appear before you. Manage your financial and personal investments well and you will benefit greatly.